In the class, I demonstrated a winter version of this feeder utilizing cuttings from shrubs and trees (cedar, holly, winterberry, chokecherry). 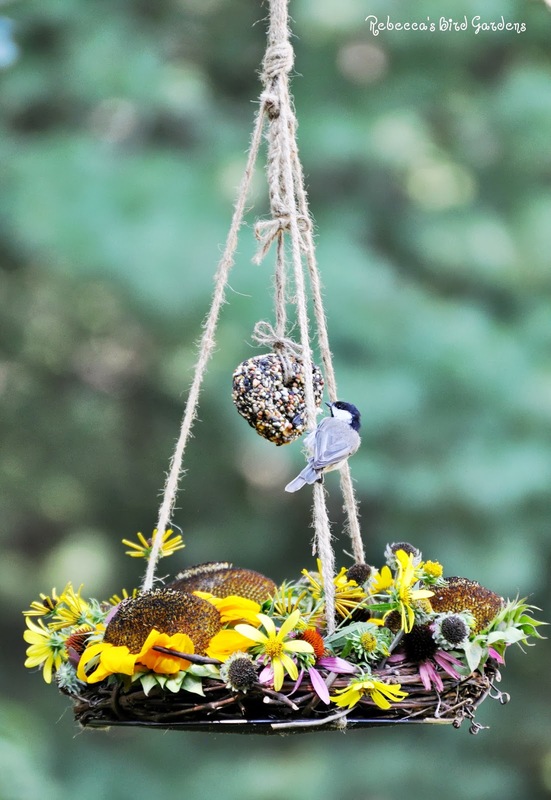 Now that the sunflowers and wildflowers are going to seed, I thought that I would put together a summer feeder in the same fashion. Bring the three strings up and tie into a loop. Braid the remaining string and tie another loop (which will hold the birdseed ♥). 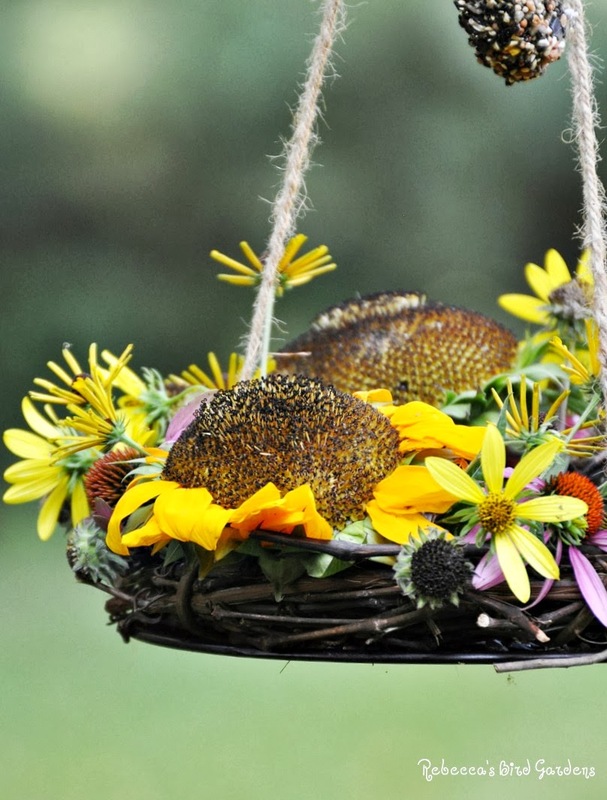 Tuck cuttings from sunflowers and native wildflowers into the wreath. In addition to sunflower heads, I used Ashy Sunflowers, False Sunflowers, Coneflowers and Black-eyed Susans. 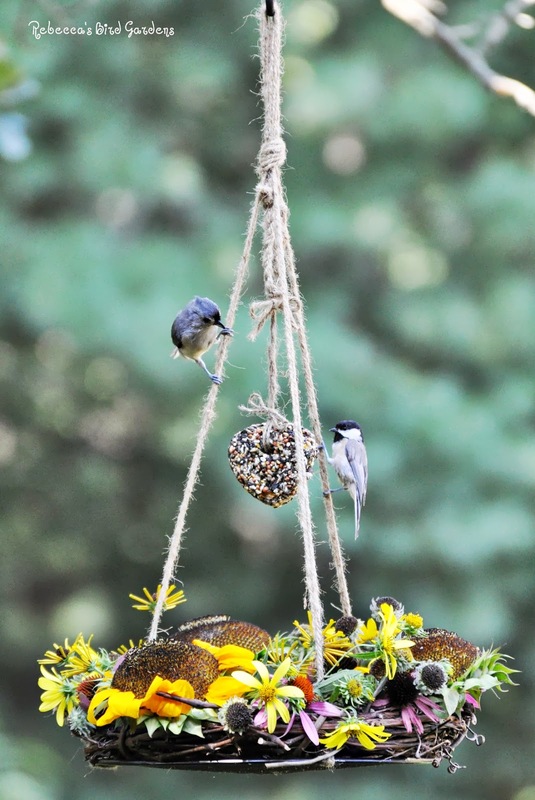 Add birdseed to the center of the feeder (on top of the splatter guard). Absolutely wonderful!!! It's not only attractive, but look what it attracts?!!! 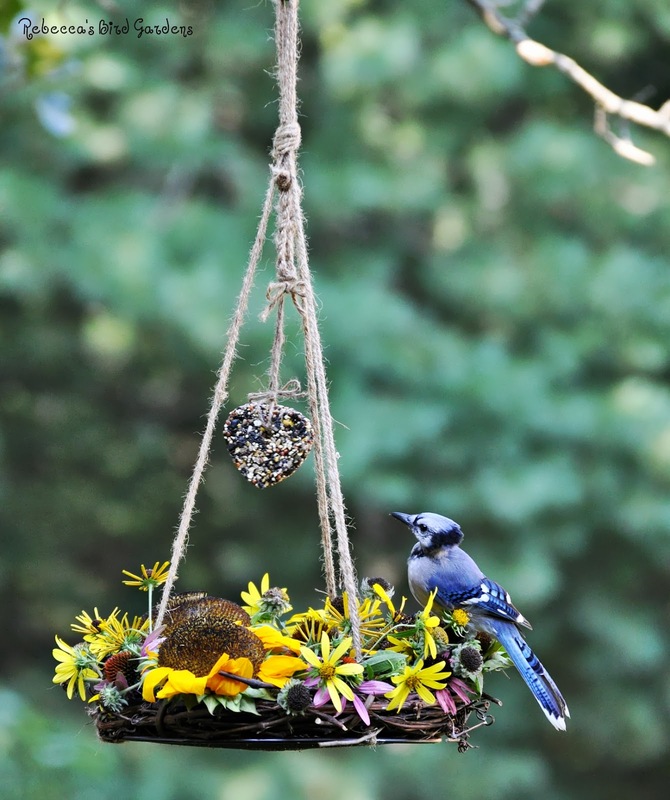 Your feeder looks beautiful and works well by the looks of the birds that use it. What a cute idea for a feeder, it is pretty too! The birds all seem to love it! Have a happy week ahead! So pretty. What a great idea! What a great project idea! Your little birds are just adorable. Hi from agrandmasblessings, I love your feeder. Found you on Out Door Wednesday. 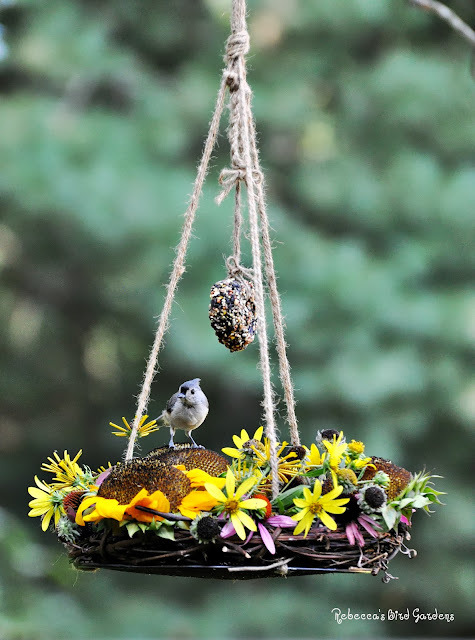 Very pretty feeder, and great bird photos, too! Cheers - Stewart M - Melbourne! Oh, I love it! And obviously the birds do, too. Thanks for sharing the instructions and the photos! What a great wreath...love the idea!! Beautiful! I love all the birds! Oh wow- this is fantastic! I would LOVE to link to your feeder tutorials in the Daily DIY if you didn't mind.